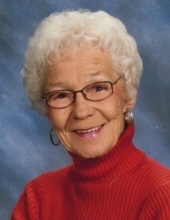 Marilyn Ann (Zimmer) Megaard, a resident of Gallatin County for most of her adult life, passed away on April 6, 2019 with her family present. Marilyn was born in Minot, ND on April 19, 1934 to Fay and Irene Zimmer. She was from a large Lutheran family of four sisters and three brothers, those surviving are Linda Thoms and Janice Zook. Marilyn graduated from Minot High School and Floral Design School. Marilyn was preceded in death by her son, Dave Megaard, her parents, three brothers and two sisters, whom she has joined in heaven. She is survived by her children Kenneth (Michele) Megaard, Greg (Sylvia) Megaard and Melody (Megaard) Weaver; grandchildren Brandon (Brandy) and Brett (Rachel) Megaard, Mariah Megaard, Terry (Danica) and Trevor Weaver, Ryanne (Jonathan) Witt; six great-grandchildren and numerous nieces and nephews. Marilyn loved her family and children with all her heart. Marilyn was a member of BΣΦ sorority, a volunteer at Sacks Thrift Store and helped at her Church, Peace Lutheran. A Service will be held 10:00 am on April 20th at Peace Lutheran Church, followed by a Reception in the Church Fellowship Hall and a Graveside Service at 1:00 pm at Sunset Hills Cemetery. Memorials may be made in Marilyn’s name to: Help Center - Hearts & Homes, 421 E. Peach Street, Bozeman, MT 59715. To send flowers or a remembrance gift to the family of Marilyn Ann (Zimmer) Megaard, please visit our Tribute Store. "Email Address" would like to share the life celebration of Marilyn Ann (Zimmer) Megaard. Click on the "link" to go to share a favorite memory or leave a condolence message for the family.